Over 30 Christian villages in Al-Hasakah province were completely devastated during the initial attack by Daesh forces. Despite being threatened by Daesh extremists, the local residents kept wearing their baptismal crosses and praying. 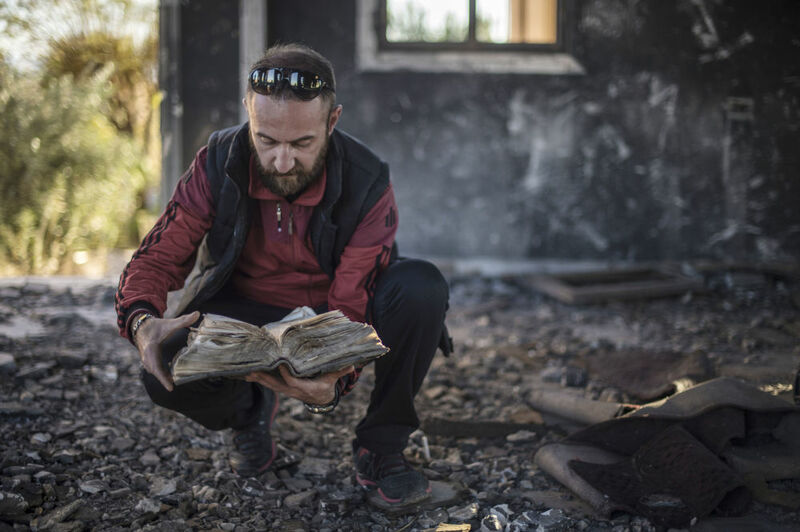 The remains of ancient Christian books burnt by Daesh militants, found in the ruins of St. George’s Church in Al-Hasakah province of Syria. Over 30 thousand Assyrian Christians live in the province of Al-Hasakah in the northeastern part of Syria. Up to 300 civilians were kidnapped and scores were murdered when during February the Daesh forces suddenly attacked the Christian villages there. 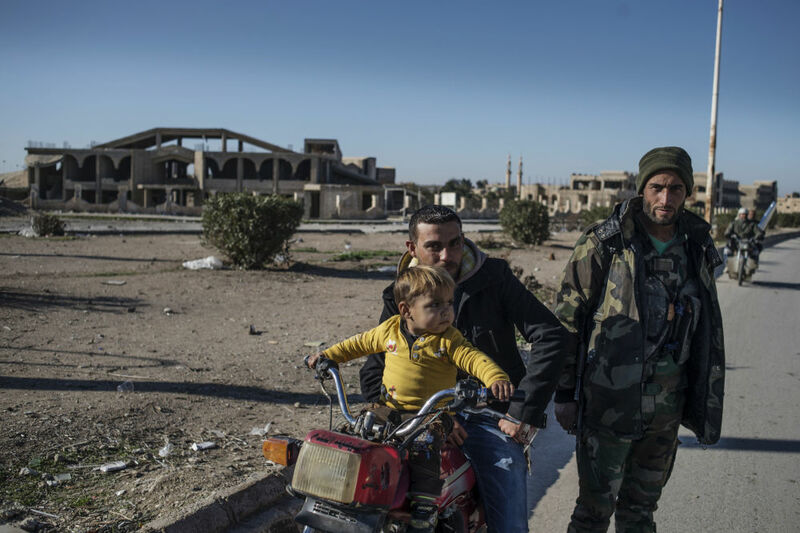 Now as the Syrian army drives back the Islamists from the province, the local residents are attempting to pick up the pieces and restore some semblance of a normal life. This entry was posted in Featured News, News and tagged Assyrian Christians, George Church by Orthodoxy Cognate PAGE. Bookmark the permalink.